I post a lot about the world out my front door: what can be seen and appreciated within a few blocks of my house on Ramona St.: buildings, businesses, public art, parks, food, and (especially) plants. What’s out my front door is downtown Palo Alto, and at somewhat greater distance, Menlo Park, Stanford, and the Professorville, Old Palo Alto, College Terrace, and California Ave. neighborhoods of Palo Alto. 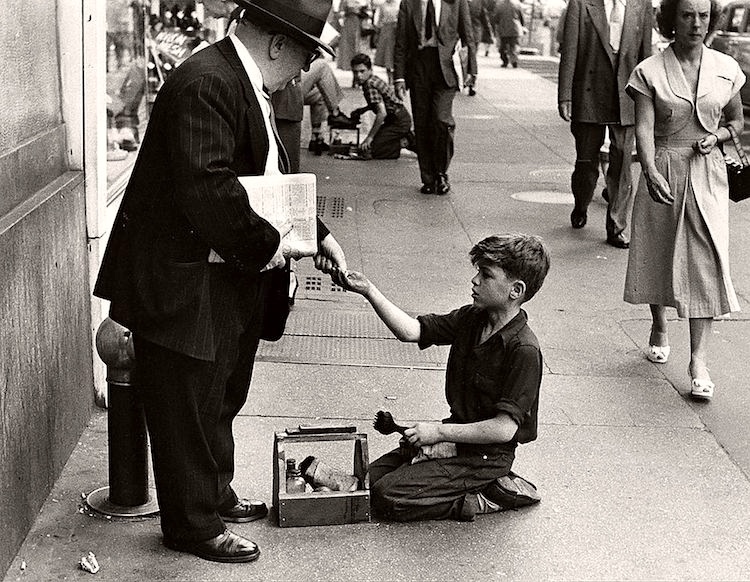 What was out of Ruth Orkin’s window (on Central Park West in NYC) was Central Park, which she captured in photographic images (mostly in color) that have become iconic. Central Park in mist and haze, Central Park in the snow. … Orkin’s most celebrated image is An American Girl in Italy (1951). The subject of the now-iconic photograph was the 23-year-old Ninalee Craig (known at that time as Jinx Allen). 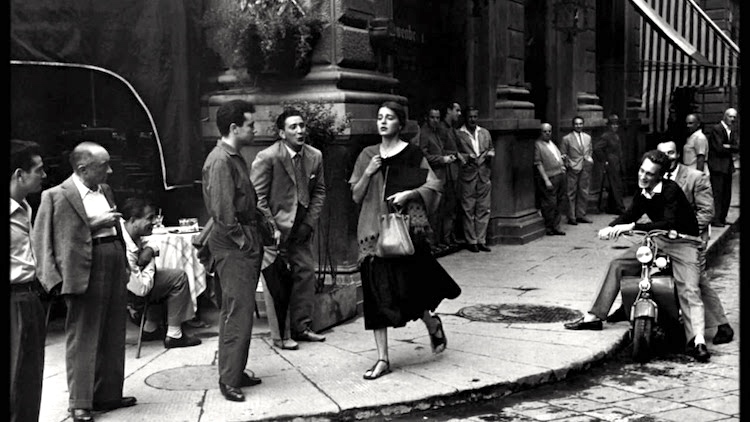 The photograph was part of a series originally titled “Don’t Be Afraid to Travel Alone.” The image depicted Craig as a young woman confidently walking past a group of ogling Italian men in Florence. In recent articles written about the pair, Craig claims that the image was not staged, and was one of many taken throughout the day, aiming to show the fun of traveling alone. 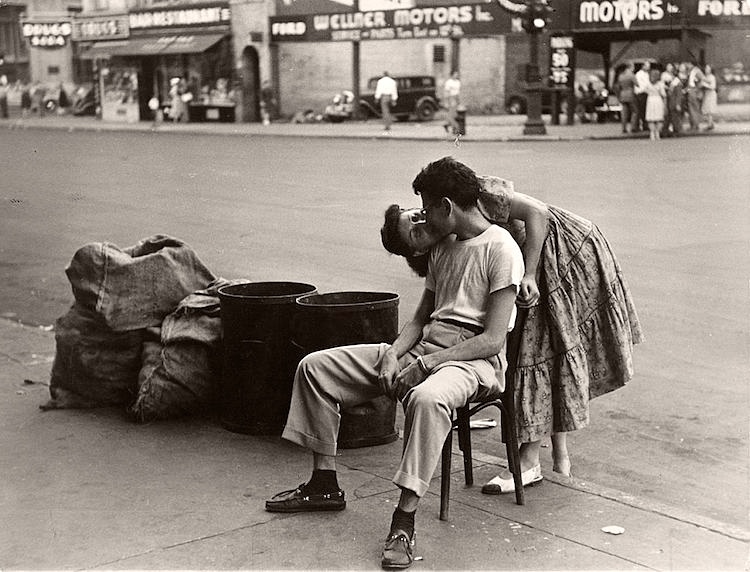 In 1952 Orkin married photographer, filmmaker and fellow Photo League member Morris Engel. Orkin and Engel collaborated on two major independent feature films, “Little Fugitive” (1953) and “Lovers and Lollipops” (1955). 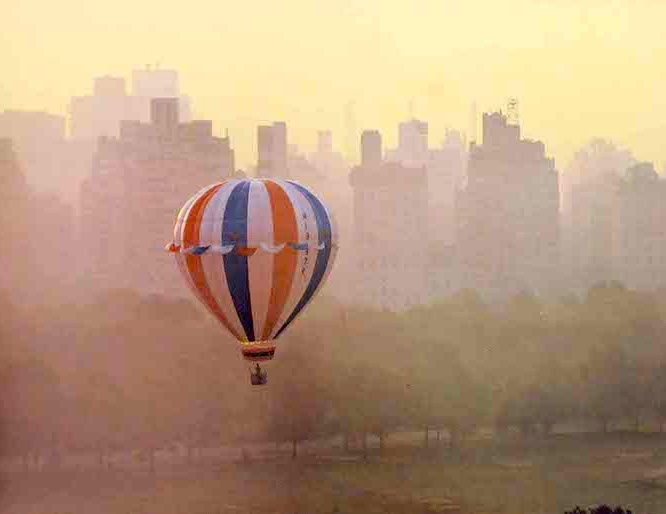 After the success of the two films, Orkin returned to photography, taking color shots of Central Park as seen through her apartment window. 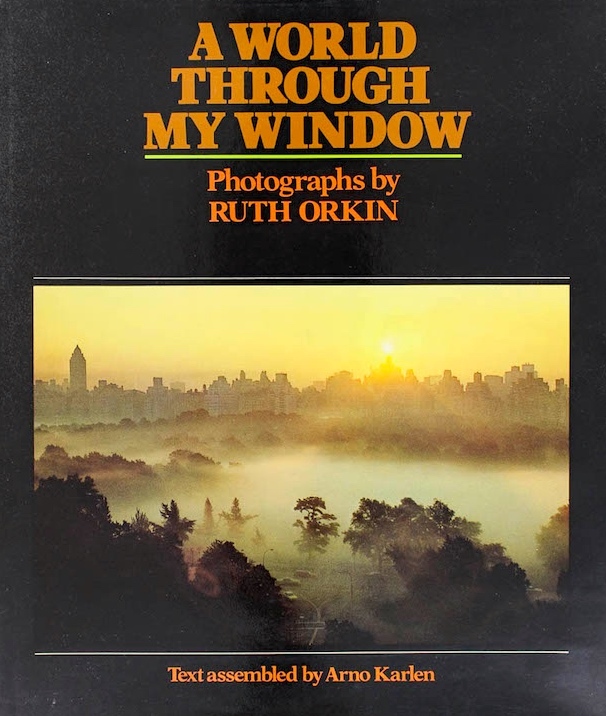 The resulting photographs were collected in two books, “A World Through My Window” (1978) and “More Pictures from My Window” (1983). This entry was posted on April 20, 2018 at 5:09 am and is filed under Art, Books, My life, Photography. You can follow any responses to this entry through the RSS 2.0 feed. You can leave a response, or trackback from your own site.